GLASGOW, UK (VIP NEWS) — Travis have announced the release of their first new album in five years. The band will release their seventh LP, 'Where You Stand', on August 19. It will follow 2008's 'Ode To J Smith' and features Michael Ilbert on production duties (The Hives/The Cardigans) who worked on the record at David Bowie's favored Hansa Studios in Berlin. 'Where You Stand' will feature the songs 'Mother', 'Moving' and 'The Big Screen'. The first single is also called 'Where You Stand'. Speaking about the band's departure from the spotlight, bassist Dougie Payne commented: "You stay away as long as it takes, so you feel that hunger and desire to get back to it same as you did at the start." Travis released their debut album, 'Good Feeling', in 1997. 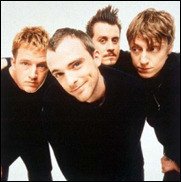 Their 1999 album 'The Man Who', topped the UK's Official Album Chart and was that year's biggest selling record in the UK, shifting over 2.7 million copies.